Content, style, and mechanics all play an important role in writing a strong essay, story, report, or article. Our goal is to be thorough, accurate, concise, and concrete. Our writing needs to flow well and make sense. We have to guard against misspellings and sloppy grammar. These can distract the reader and water down our message. The purpose of brainstorming is to plan ideas and jot down details to jumpstart your writing. Brainstorming can take many forms, including clustering, mind-mapping, lists, grids, and formal graphic organizers. Instead of writing full sentences, it’s better to make lists of words and short phrases. Later, as you refer to your brainstorming sheet during writing time, your list of concrete words and other details will jog your memory and keep your writing from taking tangents. Brainstorming keeps you on track. Try a combination of simple, compound, and complex sentences. This adds variety and improves the style of your writing. Here’s a helpful quiz on sentence types. Vivid, active, colorful words have the power to paint clear mental pictures and stir the reader’s emotions. When dull, vague, or overly used words clutter up your writing, replace them with stronger, more precise ones. Dull: Isabella made a nice dessert. Interesting: Isabella whipped up a rich chocolate mousse. Watch out for boring words such as fine, nice, or good. Is it a good book, good friend, or good weather? Then express it more specifically. The orphan sobbed, wailed, or wept. Dr. Cooper ordered, whispered, or agreed. The horse galloped, trotted, or raced. Check that you haven’t repeated main words too many times. 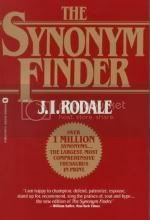 Use your thesaurus to find appropriate synonyms. Finally, don’t choose words based on how long they are or how clever they make you sound. Otherwise, you run the risk of sounding arrogant. Long, fancy words aren’t always the best choice. Yes, it’s great to use a thesaurus! Just be wise. Pick the best words for saying what you mean. I save several hundred dollars each month. Example 1:When the subordinating conjunction begins the sentence, a comma follows the dependent clause. Because I shop frugally, I save several hundred dollars each month. Example 2: When a dependent clause beginning with a subordinating conjunction comes at the end of the sentence, don’t separate the two clauses with a comma. I save several hundred dollars each month because I shop frugally. Either way, see how using because to combine two short sentences creates a single but more interesting sentence. If this concept is new to you or your students, print out a list of subordinating conjunctions. Avoid pesky misplaced modifiers—phrases or clauses placed near the wrong noun. To avoid confusion, position a modifier close to the word or phrase it should modify. Incorrect: Hiking along the overgrown path, a tree stump tripped Fernie. Why is this wrong? Because the sentence implies that the tree stump was hiking along the path! Correct: Hiking along the overgrown path, Fernie tripped over a tree stump. Everyone’s writing improves with editing, so no matter how great you think your report or story is, let it breathe for a day. Stepping away helps you become more objective about your writing. Later, you can proofread it for clarity, conciseness, concreteness, and errors. Creative Commons photo: Claudio Gennari, courtesy of Flickr.